Posted from England, United Kingdom. I’m a sucker for gadgets. Well show me a man who isn’t? 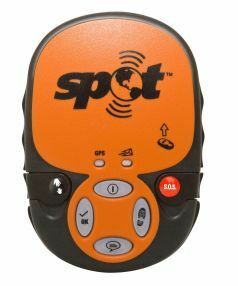 I read the various postings from guys on previous Rallies who’d used this Spot Tracker and GPS Messenger, and I decided we needed one too. It’s a neat bit of kit which cost us around £200 with a year’s subscription, so your mates can see your location pretty well anywhere, all live on the net. It arrived yesterday. It works too well. Tried it out this morning: the wife gave a me a bollocking when I got home as she’d followed me on the computer sneaking down the biscuit aisle in Tesco.